Tickets for the RAF Cosford Air Show 2016 to be held on Sunday 19th June, have officially gone on sale today. With the 2015 event selling out weeks before the show took place and now having been voted the region’s ‘Best Event of the Year’ by the public, the organisers are encouraging people to purchase their tickets as soon as possible. As an incentive to purchase tickets early, the organisers are for the first time offering ‘Early bird’ ticket pricing. 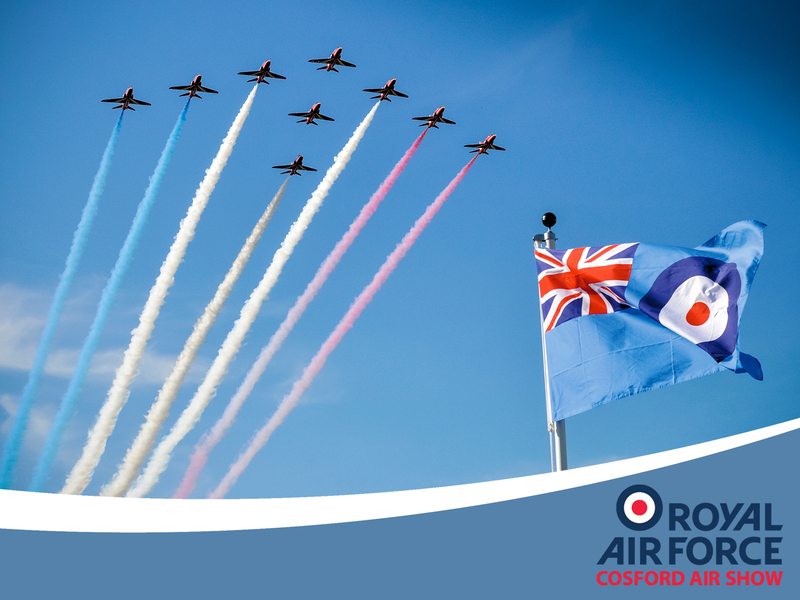 Up until Wednesday 23rd March tickets to the RAF Cosford Air Show 2016 will be priced at £22.00 per adult with accompanied under 16s entering free of charge. After this date adult tickets will be priced at £25.00 each. Carrying on from the success of the 2015 show the RAF Cosford Air Show 2016 will once again be Advance Ticket Only with no tickets being available to purchase on the gate. This step has greatly improved entry on to the showground giving people a swifter and more enjoyable start to their day.